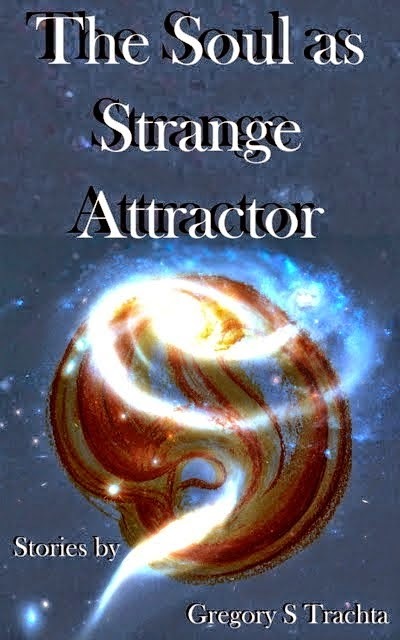 The stories in The Soul as Strange Attractor are described by one reader as “literary fiction edged with magic realism elements,” in which “early stories play out in the background and wings of later [ones].” As the characters speak, their intent is the truth. They take themselves seriously. We need not, but if we share their sincerity, something cardinal may arise, like gravity waves from the edgeless outermost. The stories occur in the decades after WW II. The characters reside in Mudgap, a village in the Sierra Fangoso Mountains, west of Las Cruces, founded on gold fever and sustained by tourists and government. They have typical interests: blood on the White Sands, the Vietnam war, Dr. Reich’s Orgone Accumulator, Buddy Bolden’s lost recordings, space aliens, the true meaning of Christmas, the Crown of Aleppo, childhood pranks, the mystery of reality, the tedium of infidelity, tall tales, taller tales, ghosts, and, of course, coming of age. Time is a silent character, miming and mugging his way through the scenes, not in the background, but largely unnoticed. Readers who doubt the existence of places not found on a map might consider: neither maps nor dictionaries were passed out with the Ten Commandments. The Soul as Strange Attractor doesn’t pretend otherwise. Lydia glanced over her shoulder up the hill toward her mother’s grave. She smiled softly and returned to Tyler’s headstone, admiring the timeless curve of his young jaw and the perfect fit of his uniform. She tapped the snow with her foot to make sure she could hear it crunch and see the indentation it made. She wanted to test again the reality of the moment. How could it be? How could she be sure it really was? How could she be sure she was truly experiencing the real reality? Could there be a doubt, any doubt, about the actuality of this moment? Her mind whirled in endless turmoil, until she finally remembered the mounted Cossack. Lydia’s metaphysical musings recalled a conversation with the abstruse Plot Smith back in the eighties. She’d been in one of her rough patches. Cousin Maude had deserted her, gotten herself married for the third time. Lydia had surrendered to life’s estrangement, the jealously private certainty she was supposed to be living some other life, the idea that the real reality was bypassed, her life squandered in some accidental nexus birthed by an impossible shredding of events. She blamed the war, of course, and in a conversation with Plot, long-standing family adjunct, she’d extruded the entire jumbled thread of her secret funk. Plot was irresistible. She knew everyone felt the same about him, but she always believed those gray Smith eyes were fastened on her to the exclusion of everything else in the universe. His full attention wrapped around her like the loving arms of a heavenly messenger. Talking to him was almost like a conversation with herself, except more coherent and wise. He’d launched into some barely understandable discussion in which the building blocks of the visible world were ephemeral potentials smeared across the universe like marmalade and warbling through time like the silent call of Ra’s Bennu bird. “That’s absurd,” Lydia had protested, believing Plot was reciting some Egyptian myth to jolly her out of her depression. Gradually she filtered his gentle exposition through some poorly understood lectures in her freshman science orientation class. “Robert Benchley?” Lydia now knew Plot was playing with her. Plot’s diversion had worked. Lydia’s guilty anger at her cousin’s abandonment on the arm of her latest lover, gone off to Las Cruces to be a college professor’s wife, had disappeared like the quantum wave front of a carefully measured electron. Afterward, any musing on the concreteness of the real world was abruptly overwhelmed by the image of a rearing white horse, its bejeweled harness and tight bit straining against rippling muscles and a raging mouth. With ears slanted back and eyes of havoc it bore a whiskered, Cossack nobleman in parade uniform, one hand tugging the reins, the other lofting a rifle. His dress was impeccable, polished black boots, black cherkeska, crisscrossing shoulder straps, white gloves, gorget, and czapska, except for his left epaulet, which curled whimsically above his shoulder, its button gone to underpin world finances. Death rode havoc after Tyler’s body went under the sod. 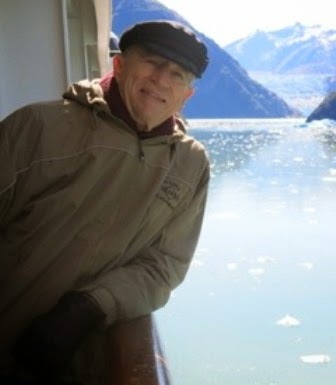 George Tuttle, the young rebel son of Grandpa Ruel’s black chief engineer, who’d left the Marines in the fifties but re-enlisted at the age of thirty-six, had returned in a gray shipping casket soon after Tyler. Tuttle had felt an obligation to President Johnson, because of civil rights legislation, a cause for which young Tuttle had been very nearly lynched seven years before in Mississippi. Gregory S Trachta is a longtime resident of Mudgap, New Mexico, where he is known by another name. Of his stories, the residents sometimes assert, "That's not the way it happened at all." He shares the passion of their complaints. Prior to residing in Mudgap, he frequented California, Missouri, Colorado, New Mexico, Texas, Louisiana, Massachusetts, and so on. Like this post? Check out these authors: Robert W. Brady Jr., Richie Earl, Vanessa Finaughty, Richard L. Foland, G. Russell Gaynor, Dani Hoots, Dana Journey, Katy Krump, Sonja Myburgh, Bryan O'Neill, T.C. Southwell, and David Temrick. This book is a bunch of bunk. Don't believe a word of it. But I love this blog. It's on my favorites list.